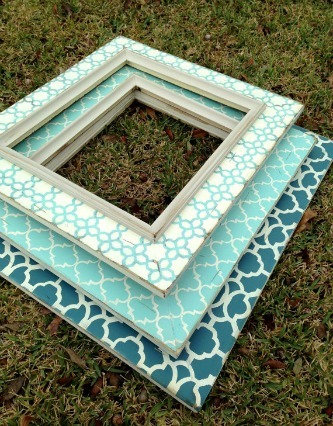 Moroccan romance is in the air, and Valentine’s Day is right around the corner… If exotic, fun and flirty sound good to you, then you’re sure to love, love, LOVE our Moroccan decor ideas for Valentine’s Day. Imagine your bedroom transformed with our fair trade, soft cotton and richly hand-printed Sultan’s Palace duvet cover and pillow shams. These vibrant, colorful linens will have you saying “Good Night” for days (and nights) on end! Pillows just speak of sensuality and romance. 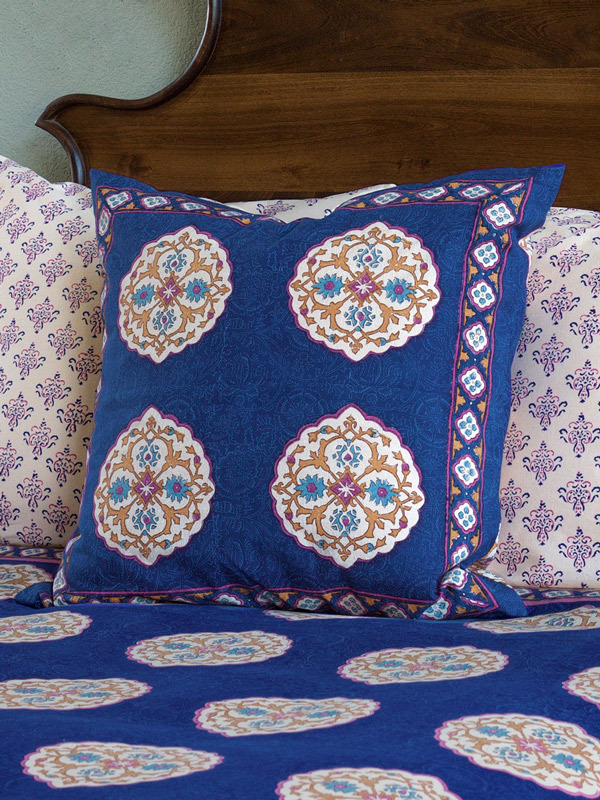 Soft, plump and deliciously covered in our rich blue prints, a scattering of these lovelies across the bed will indeed create a look fit for a Sultan. (Or Sultina, as it were.) Happy Valentine’s Day to be sure! 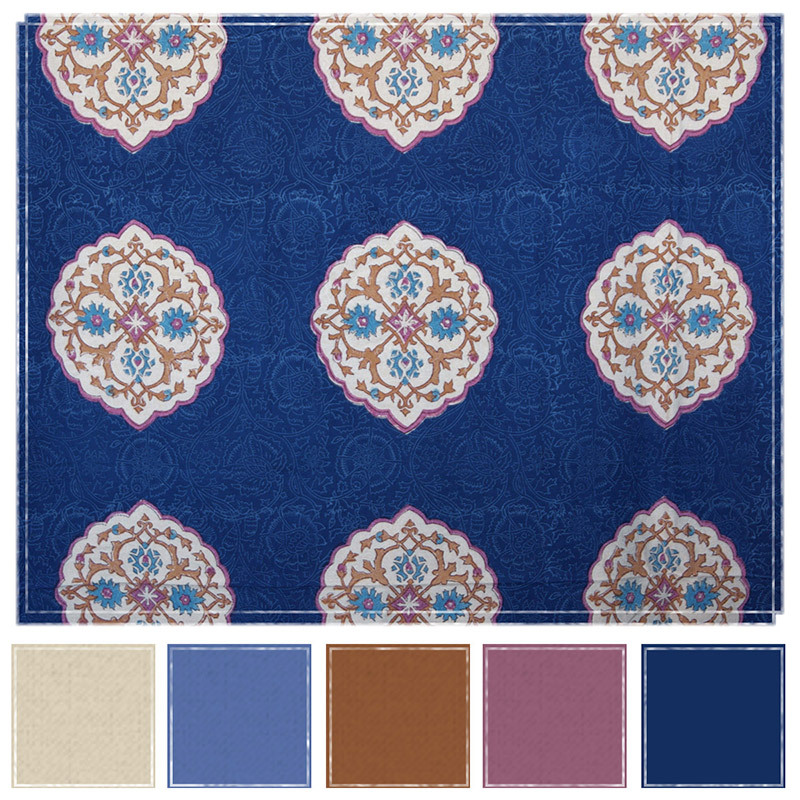 The center of our Sultan’s Palace motif is surrounded by periwinkle flowers. 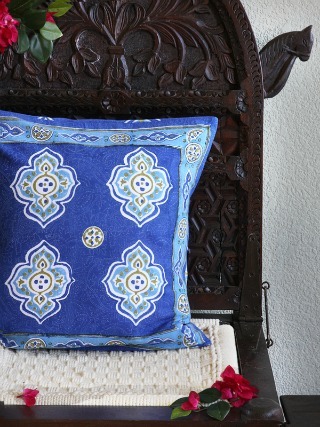 Tie into this bright blue with another Moroccan favorite, our Casablanca Blue print. 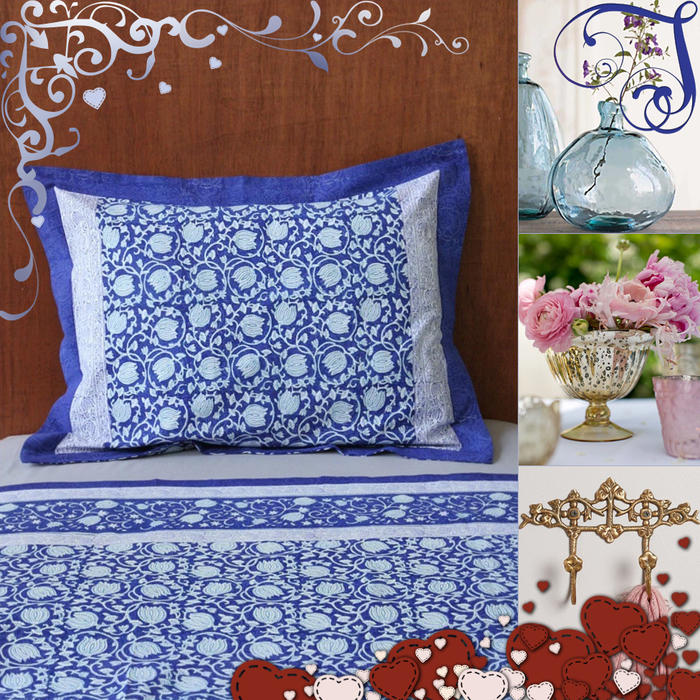 Layering pattern adds to the richness and texture of your bright Valentine’s Day bedroom. 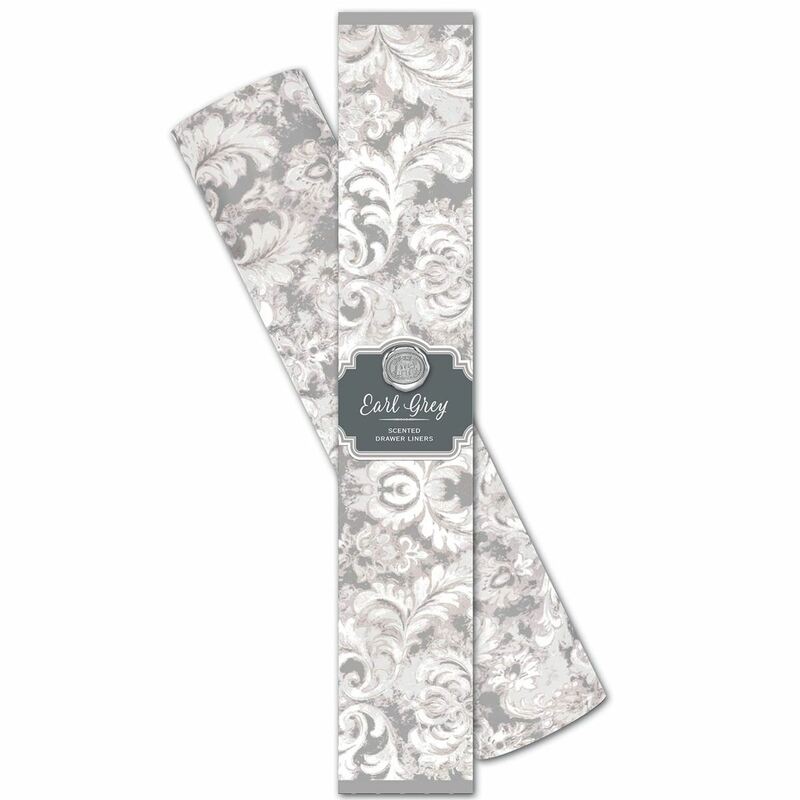 What could be more feminine and charming that elegant liner paper? This selection from Micheal Design Worksw ?/ould be sweet tucked in a Valentine’s Day package, or gifted to yourself. 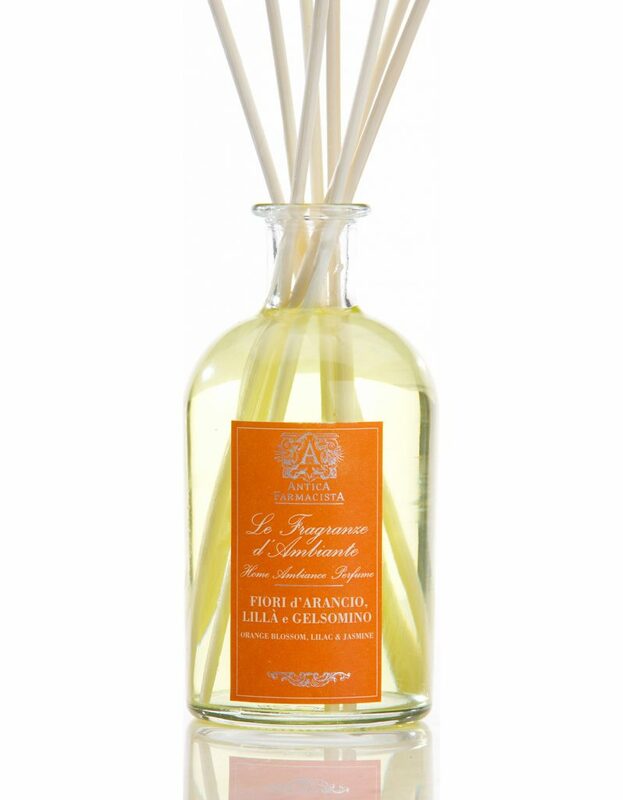 Balanced citrus and floral notes will infuse your room with a scent that is bright, yet alluring. I prefer scents that are understated, and atmospheric. A diffuser and an organic oil will create this kind of ambiance every time. 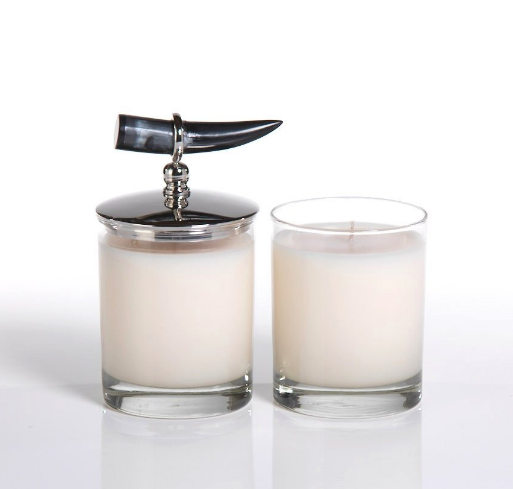 Truthfully, I loved this candle first for the unusual horn decor. The fragrant notes sealed the deal: tropical mango, coconut milk, sweet pineapple, and island musk. Whether you spend Valentine’s Day at home with a good book, or are creating a little love nest, you’ll want to light a candle like this! Add a bit of romantic poetry to your Valentine’s Day ensemble to let your love know just how you feel. 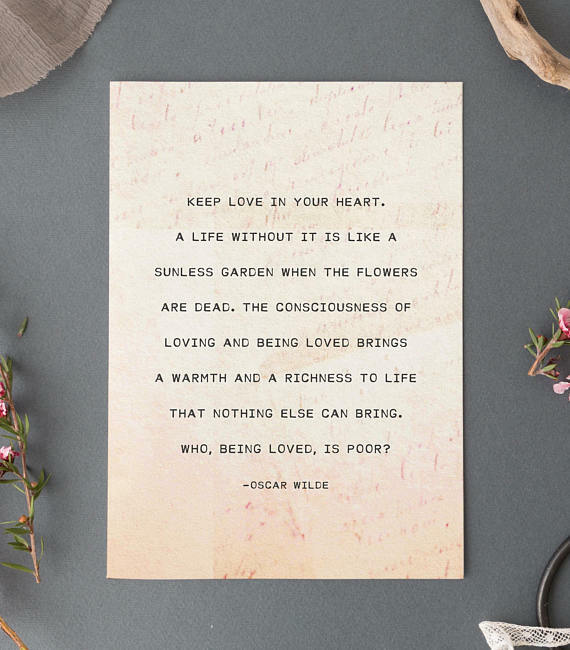 Choose something printed and framed, like this Oscar Wilde piece from Riverway Studios, or fill a blank card with the overflow of your heart. Finally, if you’d like, you can round out your Moroccan bedroom collection with sheer curtains, pillow shams and Euro shams. 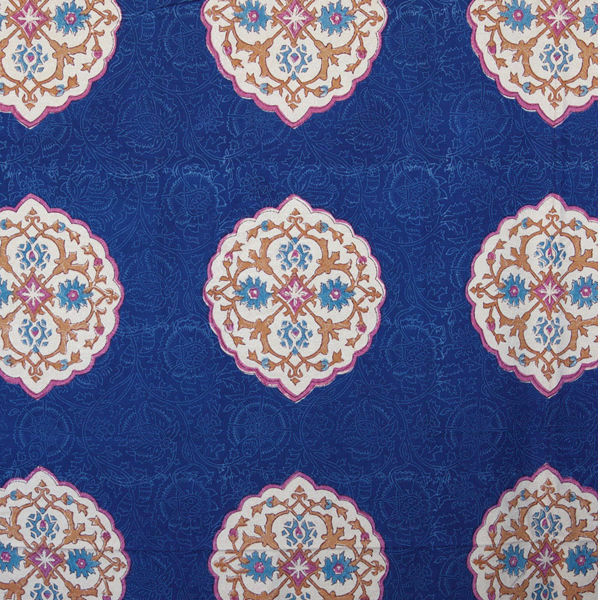 I promise that you will love this print – it is truly radient. 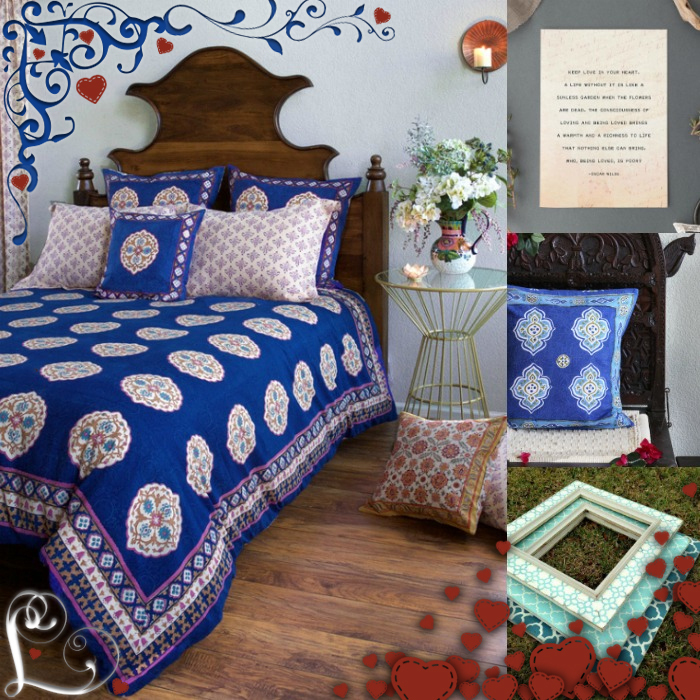 If you like vintage, boho, or Moroccan inspired bedroom decor then this Valentine’s Day is the perfect time to add Sultan’s Palace to your home! There’s only a little time left till that sweetest of days, Valentine’s Day. Add a romantic touch to any room with our linens–along with great ideas for accessories–and see the room come alive. 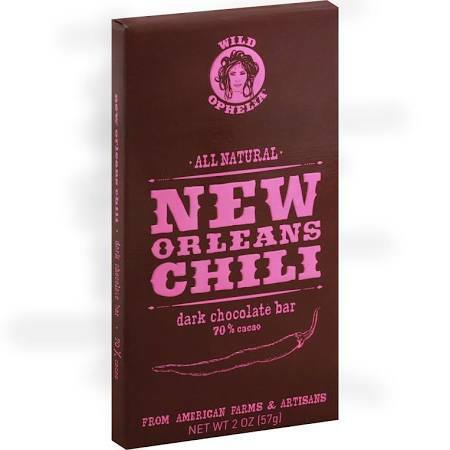 Valentines Day Dinner, Love and Chocolate – a Marriage Made in Heaven! Great ideas! 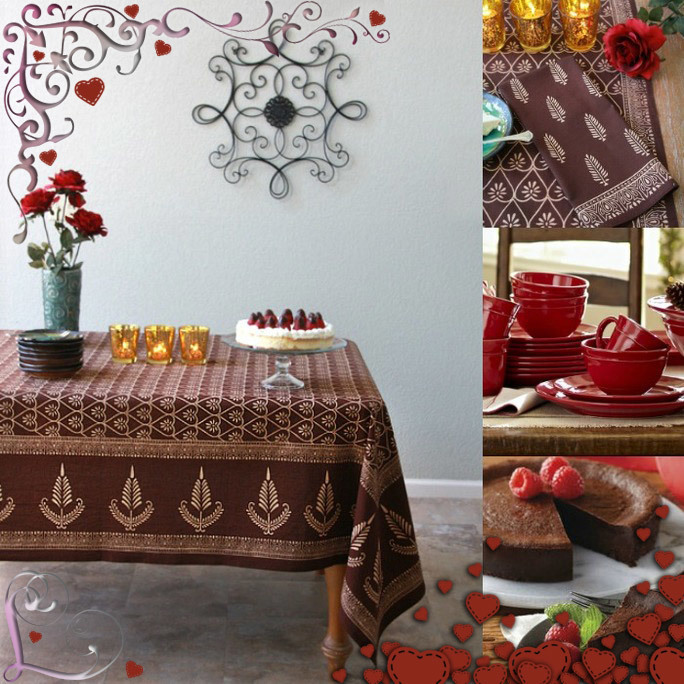 I’m using the Sultan’s Palace tablecloth in my Valentine’s Day inspired post, coming later this evening! Ooh! I can’t wait! I’ll link to your post in my Valentine’s Day post tomorrow! ← Create a Warm, Lush and Lovely Bath with Tropical Garden!